A place to talk about Australian bonsai potters and pottery. Luke here from Adelaide Bonsai Pottery. 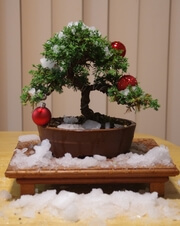 Up until now I have been relying on my Facebook page to advertise my bonsai pots, but thought it was time to share my bonsai pots here on Ausbonsai. Anyone looking to purchase a pot in stock, or order a custom made pot can send me a PM, email luke.parsons@internode.on.net or phone 0488244318. Here are some pots currently in stock. And here's a few more pots, with sizes and prices. All are hand-built stoneware, with plenty of wire holes and drainage holes. Delivery is available across Australia. Happy to organise delivery anywhere in Australia. And did I mention that any pots ordered will come with a free accent pot? Last edited by Stenno on August 16th, 2018, 8:24 pm, edited 1 time in total. Your three chosen pots are packaged up and ready to be picked up by the courier in the morning. Ok. The green oval 21cm @ $59 image 2215 is SOLD!